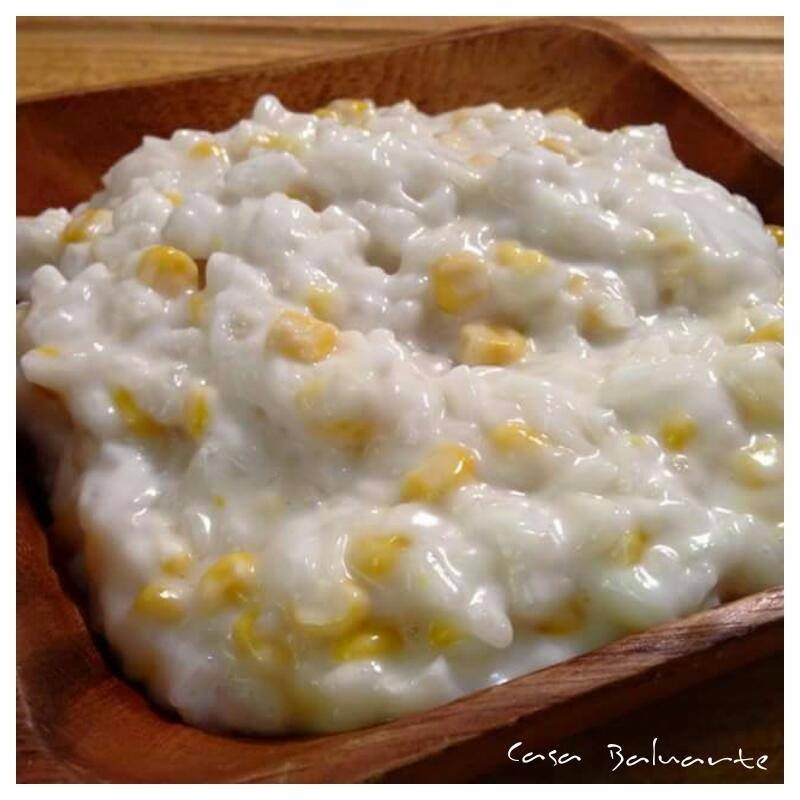 Rich and creamy plus the corn....yummy! 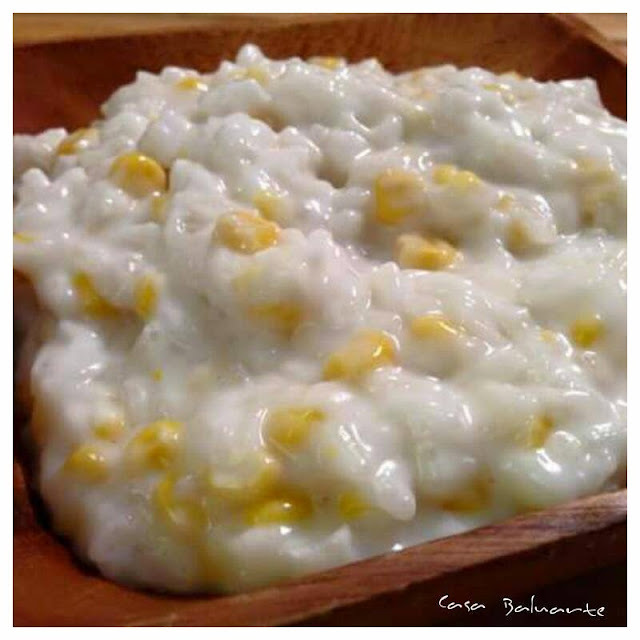 Using a deep pot, cook sticky rice in 2 cups of water in medium high heat. Once it starts boiling reduce heat to medium low. Keep stirring to avoid the rice from sticking in the bottom of the pot. Once the rice is fully cooked add the coconut milk and continue boiling in low heat. Add the corn and cook for maybe 5 minutes. Cook for few more minutes and remove from heat. Serve hot or cold.